Ballynichol townland lies south of the town of Comber in County Down. Local resident Lolly Spence, local historian and one of the first people to read this blog, suggested that I take a walk along Ballynichol Road. This was a few weeks ago, before the weather turned cold. 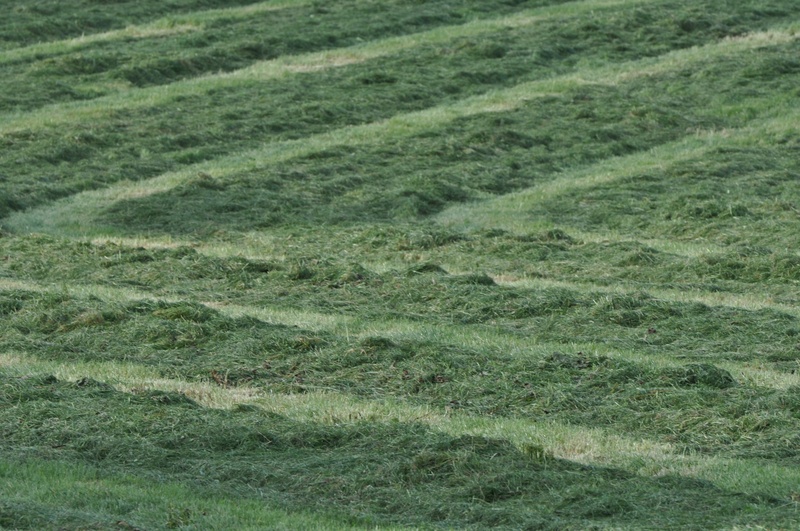 One field was being cut for silage; the rest were still being grazed by cattle and sheep. 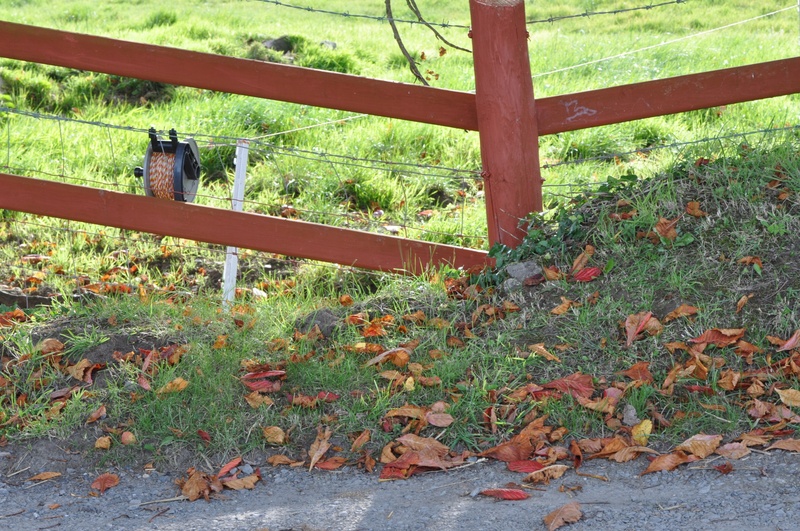 The white line below the sheep is the bar of a gate. 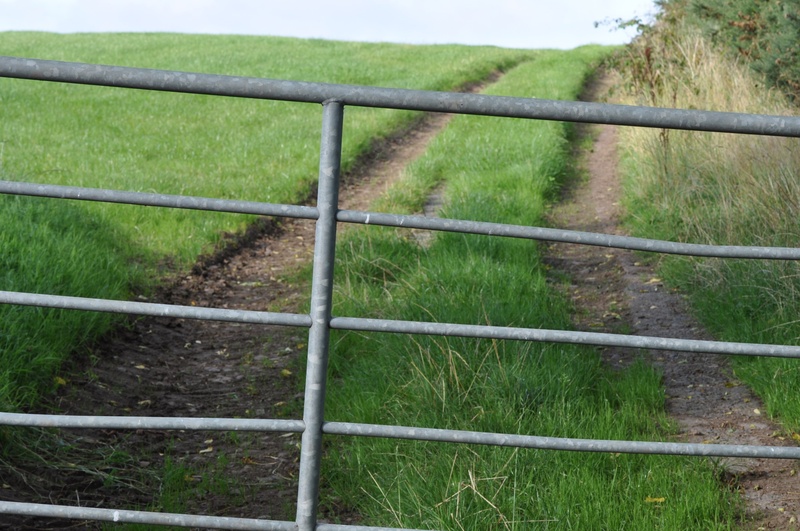 I liked the gates and fences of this townland. Even the standard one seemed to lead to an interesting path. 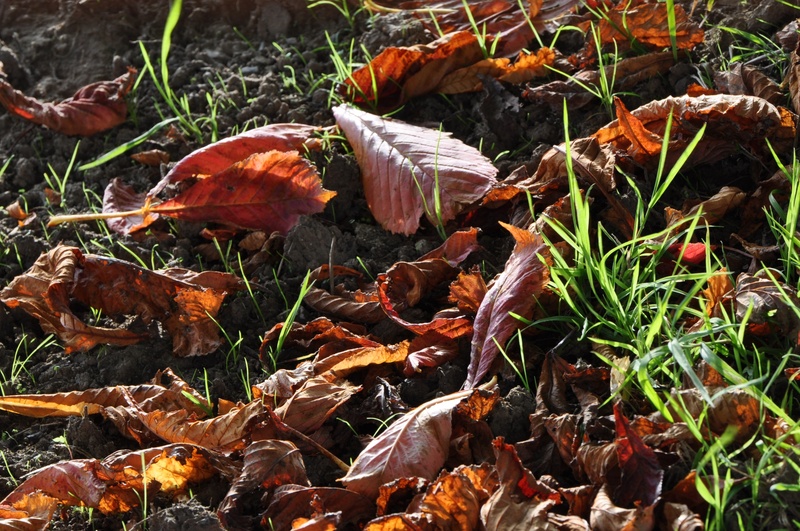 But I liked this one best, for its harmony with the autumn leaves. 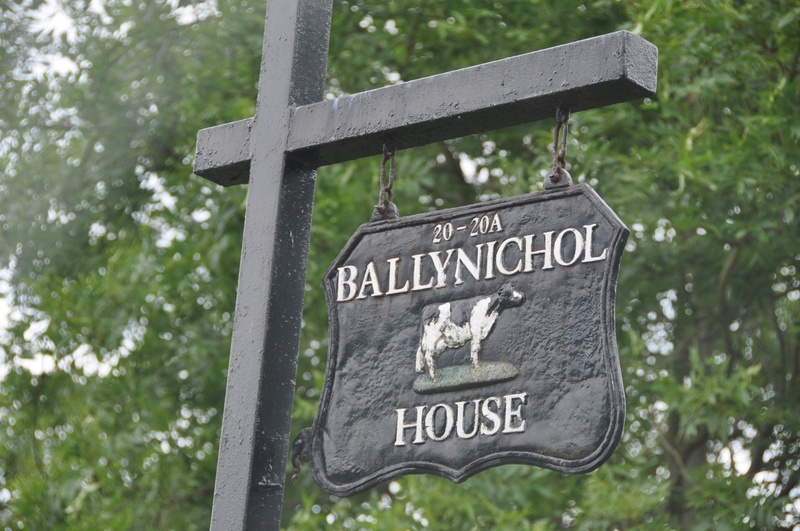 According to the PLACENAMESNI website , the name Ballynichol probably comes from the Anglo-Norman forename Nichol. 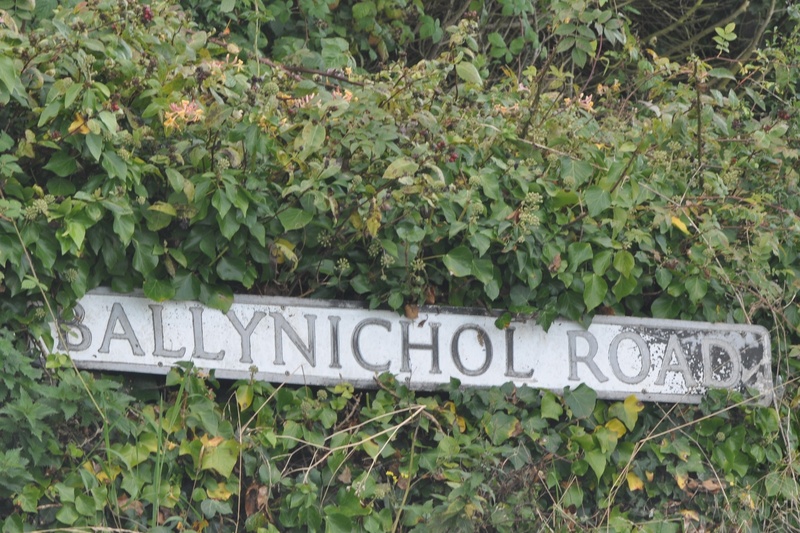 It is quite likely that the townland was known as Nicholstown in the Anglo-Norman period, then gaelicised as Baile Niocail and in turn re-anglicised as Ballynichol or Ballynickle. I eventually stopped my obsession with gates and fences, because the panoramic views from the eastern end of the Ballynichol Road were too good to miss. I realised today that I’m missing one important picture from Ballynichol – the ancient standing stones known as “The Five Sisters”. Archaeologists excavated a trench here in 1954 and confirmed that the Ballynichol stones were once the curved facade of a vanished stone burial site known as a court cairn or “horned cairn”. The excavation unearthed pieces of pots, worked flints, carved bone, and the cremated remains of an adult human. My favourite line from the excavation report in the Ulster Journal of Archaeology of 1956 is the testimony of Mr Gourlay, from a neighbouring cottage, who revealed the value attached to the ancient stones by 19th century residents. Click here to see an old photo of the Five Sisters, taken by the photographer Mr. W.A. Green (1870-1958) and held by the Ulster Folk and Transport Museum. The stones are more overgrown now, but at least they haven’t been buried again. Not only did Lolly Spence introduce me to the country roads of Carnesure, Magherascouse and Drumhirk, she also told me of her family’s interest in film and cinemas. The last thing I expected to see in Ballynichol was a cinema, but as Lolly describes it, the Excelsior is “a proper, nostalgic, retro cinema of the 50s with tip-up seats and red velvet interiors”. You can see it for yourself by clicking here. (That short film also includes views of the surrounding countryside). Here are some links to the Ulster Journal of Archaeology. Click here for the 1956 report of the excavation in Ballynichol. You may need to register for a free JSTOR account to read the complete article. 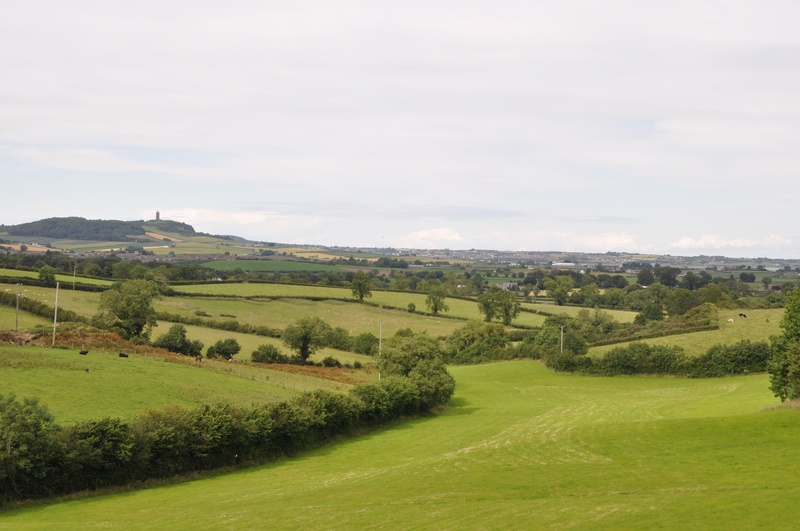 As with all Comber townlands, I point you in the direction of the Comber Historical Society. Click here for their website. The Five Sisters stones inspired the name of Lolly Spence’s business – Stone Circle Consulting. 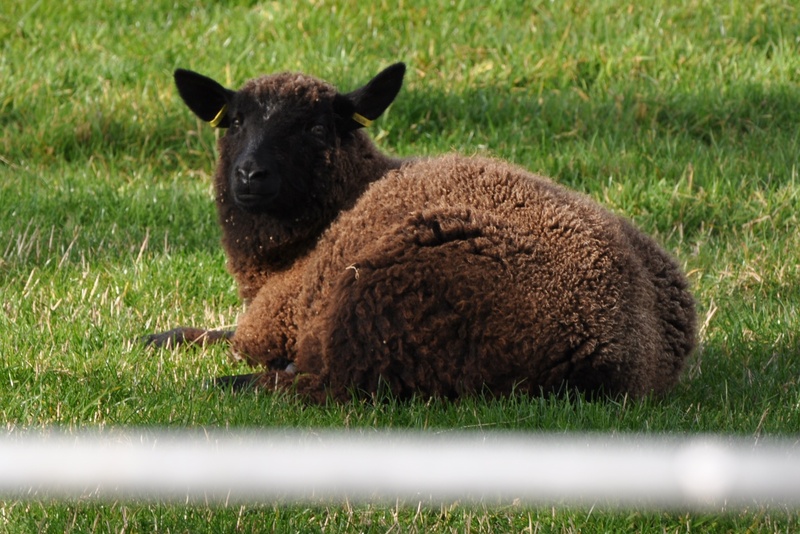 Click here for the Stone Circle website. 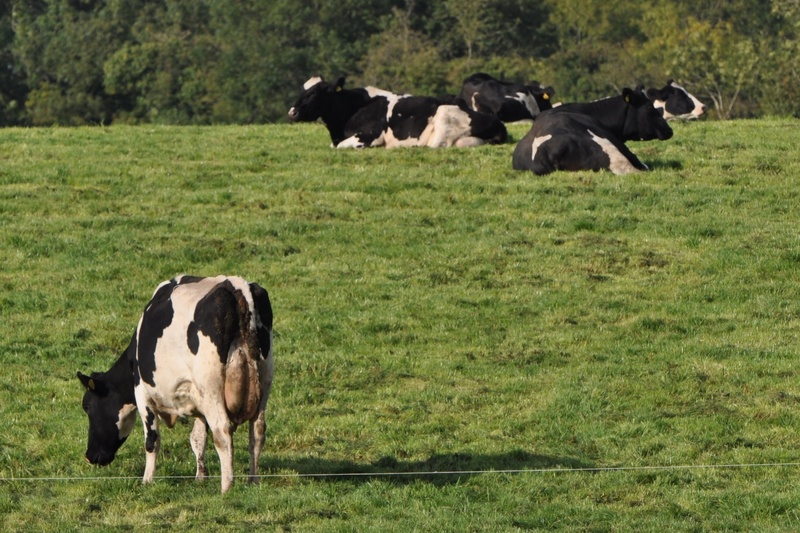 Which townlands border Ballynichol? To the west, Ballywilliam. To the north, Carnasure. To the east, Cattogs and Drumhirk. To the south, Magherascouse. Which civil parish is Ballynichol in? Comber. Click here for a hand-drawn map of all the Comber townlands, produced by Ros Davies. Love your blog and pictures. Please keep them coming. Especially liked the one taken of Strangford Lough taken from Daft Eddy’s as we were there just days before you. Lovely! I was just reading Brian Friel’s play “Translations” and he talks about the process by which all these geographical names were anglicized, so that “Baile” got turned into “Bally” and so forth. Great stuff.